The Weight Watchers program has been very popular with many people for years. Many success stories have been well publicized and one of the most recent success stories involves singer Jessica Simpson. She has recently become the newest spokesperson for Weight Watchers. 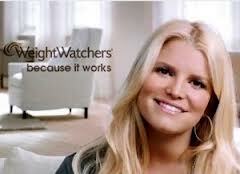 Jessica Simpson has lost a great amount of weight with the help of the Weight Watchers program. In the past six months she has lost about sixty pounds. This includes much of the weight that she gained during her recent pregnancy. This is thanks to the Weight Watchers program. Simpson used the Weight Watchers program and its PointsPlus system to help with controlling her dietary habits. She also worked on a healthier lifestyle with plenty of exercise through the help of a trainer that she met with four times a week during the program. Simpson’s efforts with the Weight Watchers PointsPlus system and a healthy exercise routine are proof that anyone can lose weight. The process involves simply working with the right foods at the right points while concentrating on the right ingredients and substitutions. This can work without causing the body to feel weak, thus making it easier for the body to engage in all sorts of physical activities. Simpson will be bringing her message of success with the program to a wider audience in the near future. She will be appearing in many promotional materials for the program and will be proving her successes with the diet to others. This is a special feature that should allow people to see what can be used with this program in mind. This development is a big part of what makes Weight Watchers so useful. The program is something that can be used to give anyone a substantial amount of weight loss in months. This can be evidenced through many people including Jessica Simpson herself.